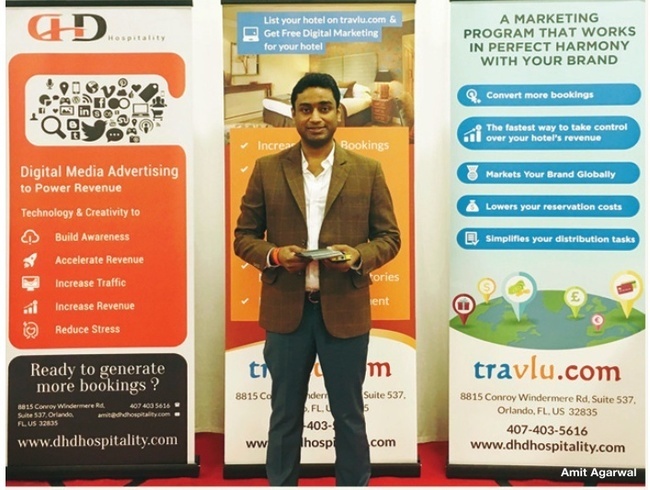 Hotelier Shamir Patel, who has listed all his hotels on Travlu, says “We’ve definitely seen a significant profit since we started partnering with Travlu.com. In addition, the company has created an added value for all of our hotels by making the online reservation system seamless and easy to use, thus saving us a great deal of time.” Travlu offers unparalleled service to its clients. It’s a one-stop shop for marketing their brand globally, reducing their reservation cost & enhancing their online presence. Travlu.com provides its clients with a dedicated online booking platform custom designed for each of their hotel clients for desktops, tablets, and smart phones with content management system & 24/7 customer support. Travlu.com also provides each of its clients with a dedicated marketing team to improve the hotel’s online presence and increase traffic and direct bookings. Amit knew that the market opportunity for Travlu.com was enormous. True to his vision, in the last three quarters, Travlu.com has grown 50% per quarter in sales revenue generated for hotels and Travlu.com. Travlu.com has also launched its mobile app to tap into the 100 million tourist per year market in Orlando with an estimated over 40% of hotel bookings occurring on mobile devices. Travlu was at 2016 Annual AAHOA Convention & Trade Show at the Gaylord Opryland Resort and Convention Center in Nashville. They had huge success with a fully-interactive exhibition booth which drew in 370 new partner hotels. The next big step for Travlu is building global partnerships and bring the same excellence in service and hospitality to hotels and travelers across the globe. What’s Unique about Women’s Outfits from Best tailor in Bangkok?